A major new Australian research project using 3D implants and robotic surgery is set to radically advance the way physicians surgically treat tumours and bone cancer. It is also expected to dramatically improve patient and healthcare outcomes. Worth more than $12.1 million in research effort, the work is partially funded by Stryker with co-funding from the Innovative Manufacturing Cooperative Research Centre (IMCRC), which is contributing $2.36 million in cash. 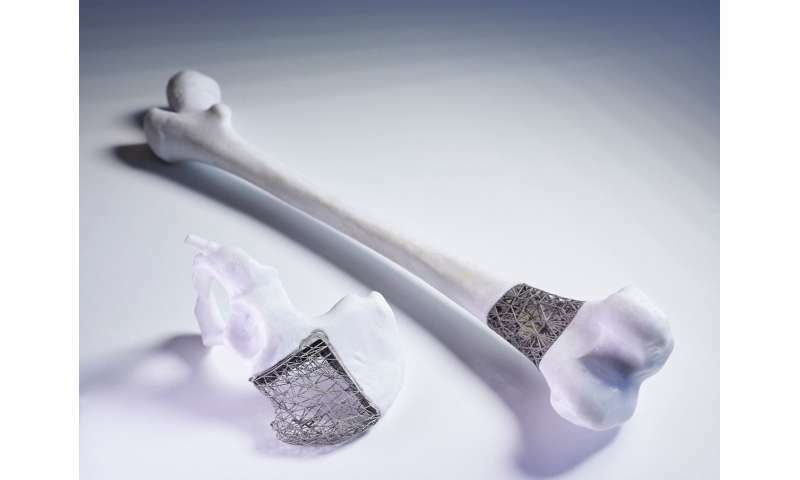 Lead researcher, RMIT’s Professor Milan Brandt, and the project team will combine 3D printing, robotic surgery and advanced manufacturing to create tailored implants for patients with bone cancer. St Vincent’s Hospital’s Professor Peter Choong said just-in-time implants will transform the delivery of care for people with bone cancer. “By combining specialised imaging techniques, 3D printing and the accuracy of robotic assisted surgery, we are aiming to deliver a personalised implant in time for the surgeon to remove the cancer and repair the patient’s bone in the one operation,” Choong said. The novel process represents a major shift in the way implants are designed, manufactured and supplied and could lead to bespoke local manufacturing. “This is the future of implants and robotic surgery,” said Director, Research and Development for Stryker South Pacific Rob Wood. David Chuter, IMCRC CEO and Managing Director said that the project was a great example of how research-led innovation in manufacturing drives better products, services and processes. “This is a significant research investment into Australia by Stryker – seeing a global organisation collaborating with two Australian universities and a local hospital. It highlights how Australia’s medtech environment offers research partners a unique setting for innovative research programs,” said Chuter. “Specifically, this project will establish advanced manufacturing capabilities that will ensure competitive advantage domestically and internationally. Professor Emmanuel Josserand, Director of the Centre for Business and Social Innovation at UTS, said the project would also have a wider impact for business and the economy, as Australia transitions from traditional to advanced manufacturing. “Not only will there be direct business opportunities for Australian companies to become medical suppliers but there will also be an opportunity for the technologies and manufacturing know-how developed within this project to transfer over time to other local industries,” Josserand said.